Did you know that chiropractic care can help with more than neck and back pain? A highly functioning nervous system can ensure a healthy, fully functional body. 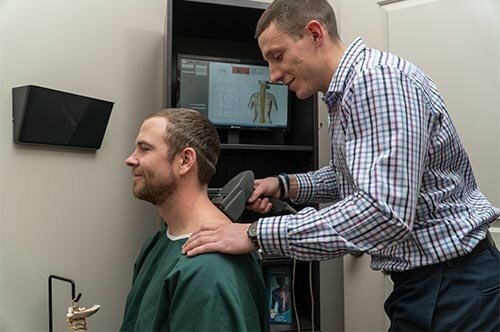 Acquaint yourself with the many wonderful benefits of specific, neurologically based chiropractic care by visiting Vitalife Chiropractic in Longmont, CO today! Our office delivers high-quality, researched based care to help patients achieve optimal health, abundance and vitality, while enjoying a life free from the burdens of health concerns! OUR BODIES’ ABILITIES TO ADAPT, THRIVE, HEAL, AND FUNCTION ARE FAR GREATER THAN YOU HAVE BEEN LED TO BELIEVE. Chiropractic care is foundational for health. Most often, people come to us to seek relief from pain, but good chiropractic care can be so much more than that. Our nerves are the body’s connection to the brain, which controls every bodily function both consciously and unconsciously. Every single cell, muscle, and organ receives directions from the nervous system. When you are feeling pain, it means there is a serious disruption to the flow of the nervous system. However, we can also have pinched and obstructed nerves even without pain, and these obstructions can lead to the brain’s signals not making it to the essential parts of our body. This can lead to digestive issues, headaches, allergies, foggy thinking, and much more. We know that proper structure is equal to proper function, so correcting the alignment of the spine gives a clear pathway for the nerves to operate optimally, freeing you from pain and optimizing the function of your bodily systems. 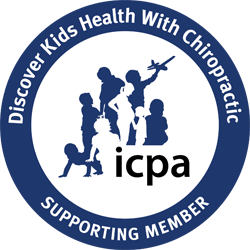 We are helping usher chiropractic care into the modern world. We use advanced techniques like a neurological assessment system designed by N.A.S.A. to locate the cause of issues in the spine. We also use a special adjusting instrument that eliminates the need for forceful adjusting and the twisting, popping, and cracking that accompany it. Just a firm, precise tap on individual vertebrae is all you experience. This delivers just the adjustment needed to each individual vertebra. Older techniques move many vertebrae all at once and struggle to single out an individual vertebra with the same precision, making it harder over time for the spine to hold its alignment as things get stretched and loosened. That is why we use our unique techniques; for precision and long term enduring spinal health. Discover the health benefits of neurologically-based chiropractic care! Book your initial consultation with our office today, and take the first step to better spinal health. If you wish to learn more about the techniques or care we offer, we encourage you to browse through our website or get in touch with our team.